We sell various brands including our own brand CONSEPT, high quality timeless brands JOSEPH but also the trendsetters GANNI and ISABEL MARANT. Why did you choose Dansaert to start your shop? 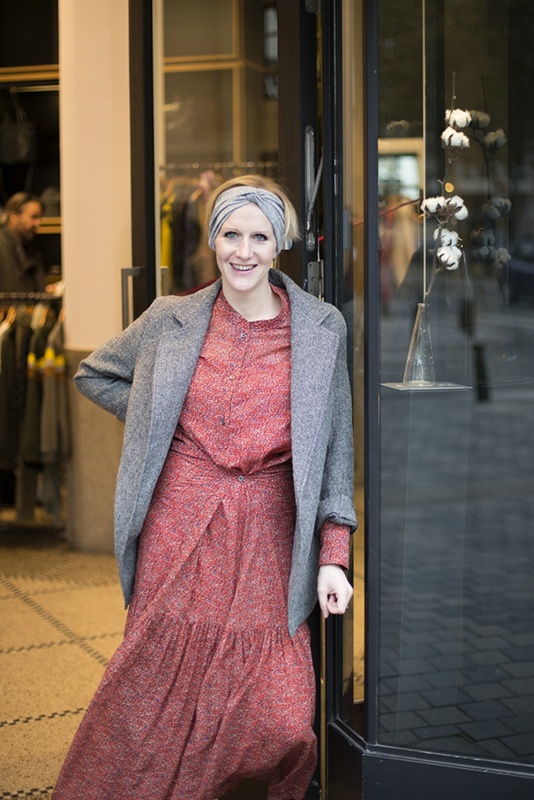 A Suivre was founded by the sisters Nele and Veerle Van Doorslaer, who successfully put this beautiful boutique on the map. They have chosen Dansaert for the charm of the 'Petit Paris' neighbourhood and because of the beautiful building. If hou have a spare moment, where can we find you in the neighbourhood? You can find me at Oficina for the friendly service, the delicious wine and their imaginative simple dishes. Bar Beton is the nicest no-nonsense cafe on Dansaert, especially in the summer. At Underwear for their delicious and honest contact with their customers, also to chat with the girls. I am addicted to Knees To Chin and I love the new creative shops on the Flemish road. If I want to do some romantic things, I dare to grab a seat at resto Henri. How do you see the future for your shop? Our plans for the future are to continue to think with an open mind and to understand and satisfy our customers. What dreams do you have for the Dansaert area? My dream is that the neighbourhood will become a commercial centre again in a friendly way where everyone works together because you are nothing alone. Let's make the best of what we're given!